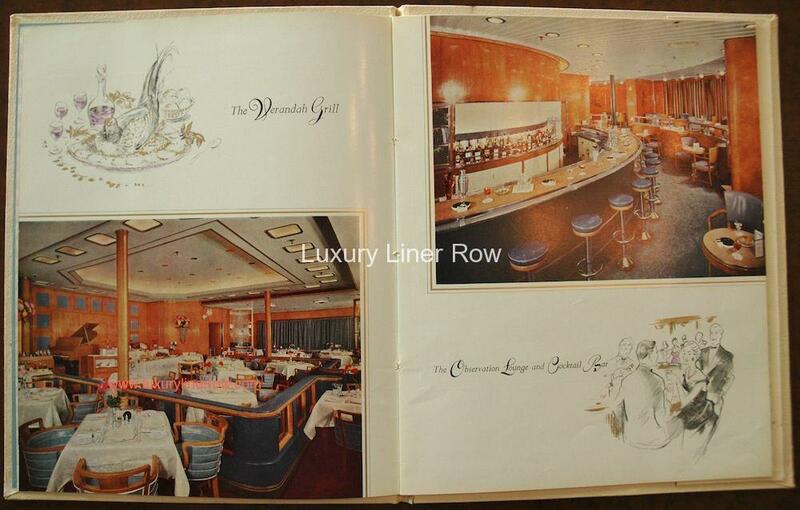 First-class travel can be relived in this fantastic hardbound booklet available to passengers in the on-board gift shop. 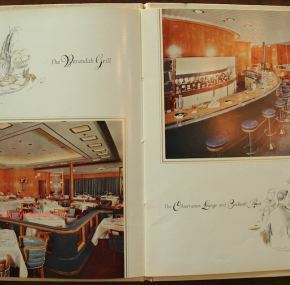 Sixteen glossy images, most are full-color photos. At the back there is a thoughtful pocket to keep your menus and daily programs in. 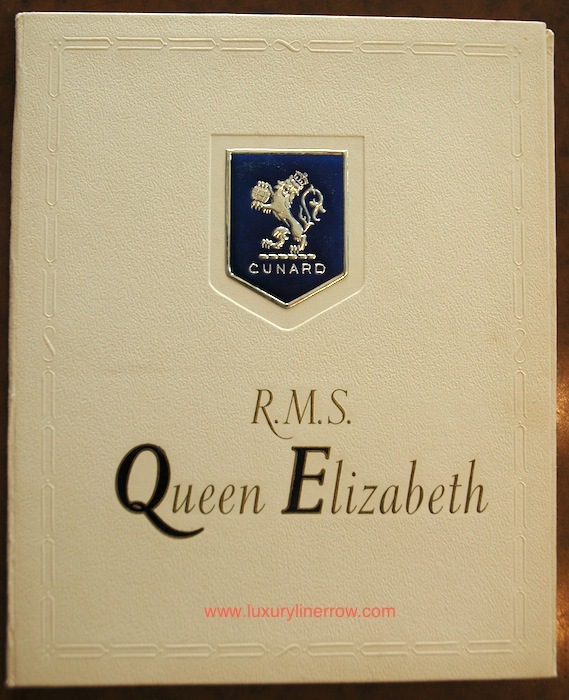 Nearmint condition with no roughness to the embossed Cunard logo that is often seen. These are quite nice and are well made. 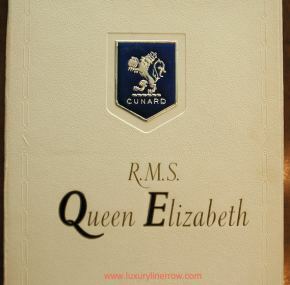 I wish they had produced books like this for Caronia and the second Mauretania. Only the Queens seem to have been so favored.